“Speaking loudly and clearly for the Trump Administration, we won’t let that happen,” POTUS says in Saturday tweet-storm. 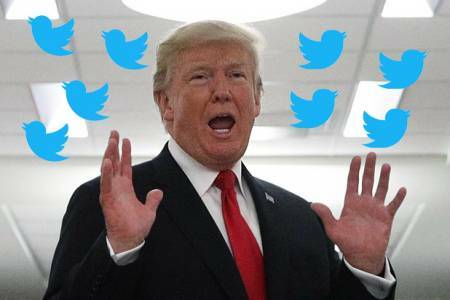 President Trump on Saturday issued a tweet-storm following the removal of conspiracy theorist Alex Jones and his InfoWars shows from most major social media platforms earlier this month. The president did not indicate what steps his administration might take to prevent private companies from setting up and enforcing terms of service that have allowed them to discipline or shut down accounts for reported abuses. “Too many voices are being destroyed, some good & some bad, and that cannot be allowed to happen,” he wrote, without naming any specific accounts. “Censorship is a very dangerous thing & absolutely impossible to police,” the president wrote, suggesting that social media companies may be politically motivated in enforcing their rules about hate speech and direct calls for violence. “If you are weeding out Fake News, there is nothing so Fake as CNN & MSNBC, & yet I do not ask that their sick behavior be removed,” he wrote. The president’s Twitter storm comes a week after Facebook, Apple, Spotify and YouTube removed from their services most of the content posted by Jones and his InfoWars network, citing what they said were violations of their terms of service. Earlier this week, Twitter followed suit with a seven-day suspension of Jones’ personal account. Last week, Twitter also suspended accounts associated with former Vice co-founder Gavin McInnes and the far-right Proud Boys group; the latter had participated in last summer’s deadly Unite the Right rally of white supremacists in Charlottesville, Virginia.